ISLAMABAD: The Islamabad Chamber of Commerce and Industry (ICCI) on Sunday called upon the caretaker government to reduce the taxes on real estate sector. 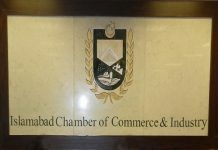 “The real estate sector is playing important role in the economic development of the country but imposition of heavy taxes has badly affected its business activities,” ICCI Acting President Muhammad Naveed Malik said while talking to a delegation of Islamabad Estate Agents Association led by General Secretary Chaudhry Zahid Rafique who visited Islamabad Chamber of Commerce and Industry here. He stressed that the caretaker government should consider reducing tax rates on this sector to facilitate the growth of the economy. 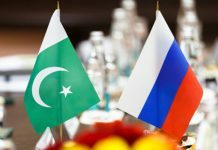 He said the outgoing prime minister had announced to reduce the tax rate on the purchase of property to only one per cent along with abolition of DC rate and Federal Board of Revenue (FBR) rates, but the same was not implemented as yet. He stressed that all other taxes should be abolished on the purchase of property including CVT and stamp duty and only one per cent tax rate should be imposed. He said that capital gain tax slabs on the purchase of property should be removed and five per cent flat CGT should be introduced. He added that the period of gain tax should also be reduced from three years to two years. He urged that provinces should also abolish CVT and stamp duty on purchase of property and impose only one per cent tax rate. ICCI Vice President Nisar Mirza assured that the chamber would fully cooperate with Islamabad Estate Agents Association in resolving key issues of its members. Highlighting the major issues of real estate sector, Islamabad Estate Agents Association General Secretary Chaudhry Zahid Rafique said that real estate should be given the status of an industry to facilitate its growth better. He said high tax rates on the real estate sector have caused a slump in property business and urged that tax rates should be revised downward. He added the government should double or triple tax rate for non-filers and allow them to purchase property of Rs5 million and above. He said Overseas Pakistanis should be considered as filers because they were filing returns in their host countries. He said the government should legalise two per cent service charges of real estate agents as they were paying services tax in addition to income tax and it was difficult to determine services tax without giving legal cover to two per cent service charges. Property prices have reached a level where the middle class is deprived of affording a roof. A person earning 200k per month can’t afford a decent house in these prices, let alone the affordability of the masses who earn an average 35k per month. There should be a massive crackdown on black money parked in property, no matter how devastating it is for the sector. The primary purpose of housing is to have a roof over your head, and NOT to trade in it. These estate agents are thieves and their demads should be rejected. 100 percent agree. But this should not be limited to real estate. Same theory should also be implemented for health and education.